Located in the state of Durango about 10 minutes away from Durango City, Lágrimas de Dolores is a vertically-integrated company. This means the company is growing their own agave, crafting the mezcal, and then selling it. 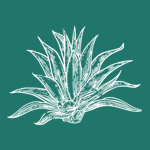 Many tequila companies, and presumably some mezcal companies, will buy agave from agaveros (agave farmers) at a low price instead of being involved with the farming process from the beginning. Lágrimas de Dolores claims to have semi-cultivated around 150,000 agaves in the past three years, with an annual goal of around 50,000 (source). They currently only actively promote two mezcals. First is the Cenizo Joven (or Agave Durangensis) at 43.5% ABV. I tasted this in Amsterdam and absolutely loved it; read more about that trip in my previous post. After buying a bottle and enjoying it more, this has become one of my favorite mezcals. Their other mezcal is the Cenizo Añejo at 40.5% ABV which is aged for 1 year in a white oak first generation barrels. 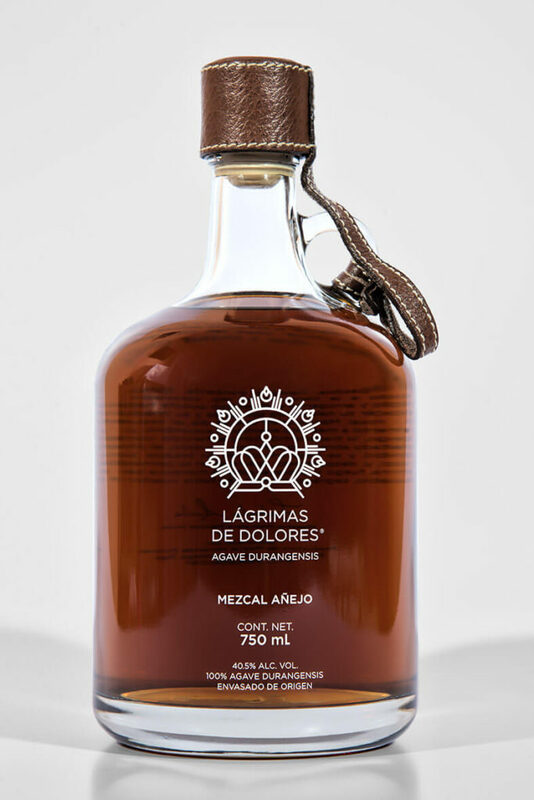 At one point I remember seeing an Extra Añejo on their website but it is no longer there; if anyone knows about this please leave a comment. The company also has special limited releases that feature rare agaves like I’gok, Cimmarion, and Tepemete. We only have two mezcals from the state of Durango, both from cenizo agave, on the website: Leyenda Durango and Clase Azul Mezcal. There are very few mezcals being exported from Durango, and we hope to see more. Papadiablo translates to “Pope Devil”. This sounds like a hip nod to the classic mezcal saying “para todo mal, mezcal; para todo bien, también”. The Papadiablo website explains the name in more detail and even has interactive Tarot cards. 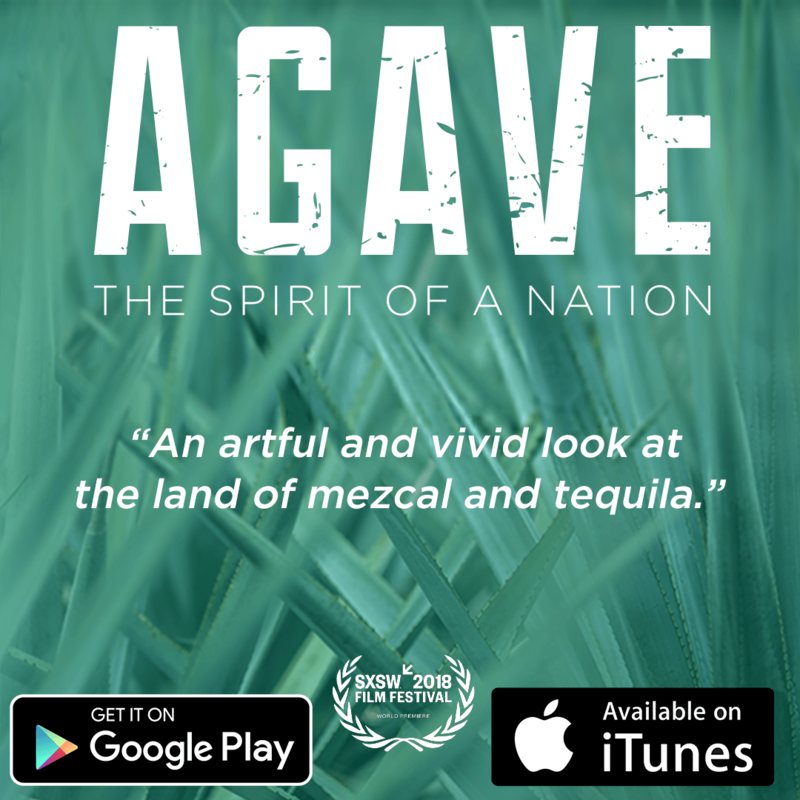 Their website also has a ton of great videos covering the entire mezcal production process (they are conveniently subtitled in English). Papadiablo has three offerings, all from Don Alberto Ortiz in Miahuatlan de Porfirio Díaz and all hand-crushed. I cannot remember where, but I heard that Don Beto, in order to promote cleanliness, prohibits animals (see: donkeys) in his palenque and the agave grinding is done by multiple workers over many hours with wooden mallets. At any rate, the three Papadiablo mezcals are Espadin, Arroqueno, and Ensamble (labeled Especial) – all adjusted to 47.5% ABV. What’s in their ensamble? Espadin, Bicuishe, Madrecuishe, and Mexico. Some of you agave nuts reading this might realize that Mezcalero No. 11 is this exact same ensamble by the same mezcalero. It seems to be, and here at Mezcal Reviews we had to find out for ourselves so we tried them both side-by-side. What happened? Well, both are absolutely amazing, and very similar… for us the Mezcalero proved to be a bit softer and more balanced than the Papadiablo. Perhaps the Mezcalero batch was rested longer? It’s hard to know and that’s the fun thing about mezcal. 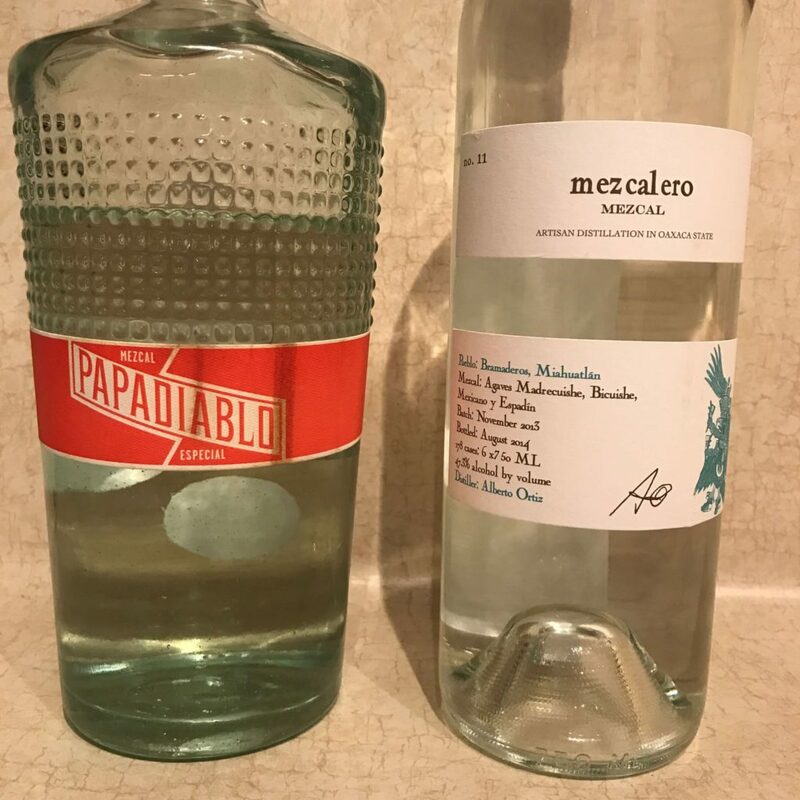 Either way, based on the Especial tasting and this mezcalero’s craftsmanship, Papadiablo is certainly a brand that should be sought out and enjoyed. We hope to see (and drink) more from Don Beto – he’s a busy mezcalero! Mezcal San Cosme exports a joven espadin produced in Santiago Matatlán. 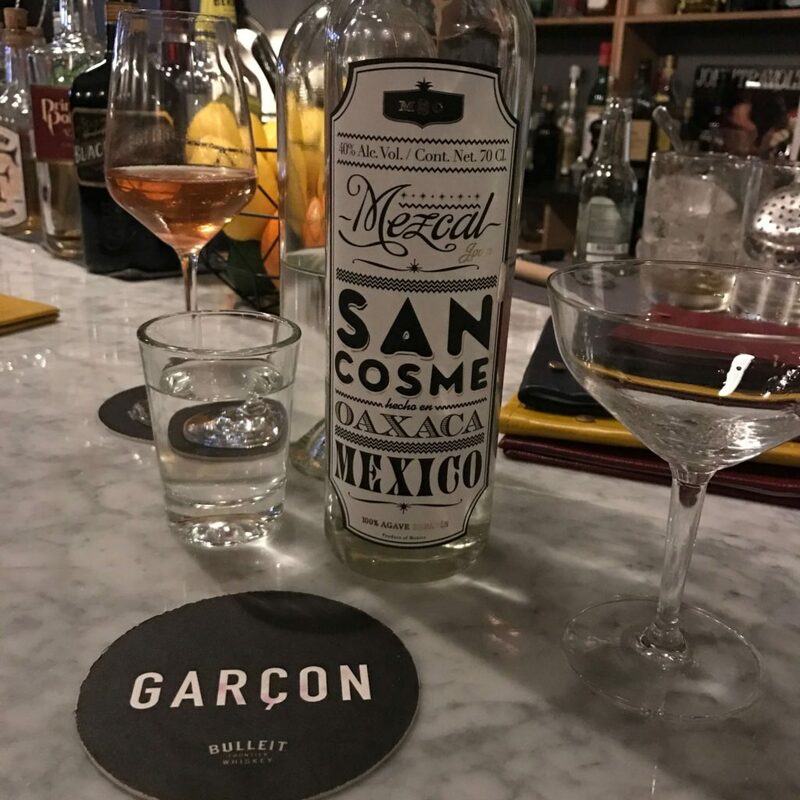 Mezcal San Cosme borrows it’s name from Saint Cosmas who, alongside his twin brother Damian, is worshiped by some as the Patron Saint of Doctors. Together, the brothers defied death in several occasions, and miracles are attributed to them even after their passing, appearing in people’s dreams and healing those who implore them. According to the online spirits retailer The Whisky Exchange, San Cosme was originally produced for the German market. It’s well-priced with an ABV of 40%. 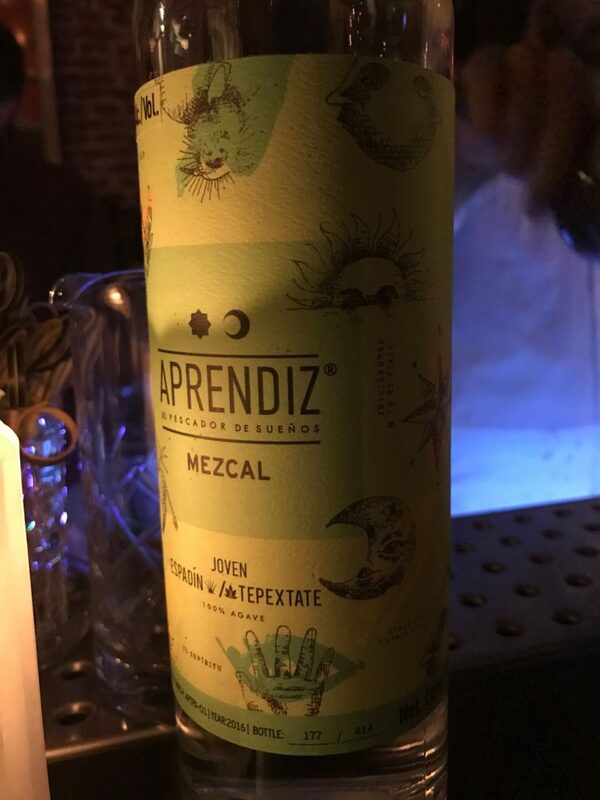 I saw this mezcal in more than one bar in Germany (of all places!) and gave it a try. It’s a decent sipper but I think it’s produced mainly for cocktails. An interesting note about Mezcal San Cosme is they are NOM-O02X which is the same NOM as Mestizo Mezcal. 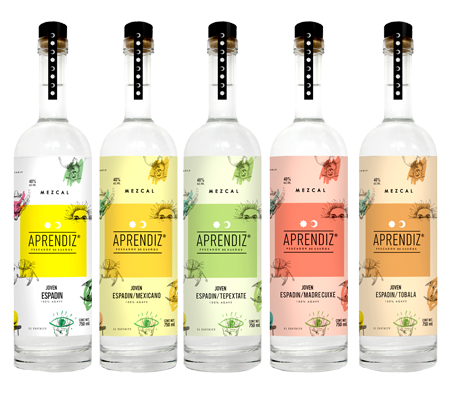 Aprendiz Mezcal is made by Isaías Martínez and his father-in-law in San Juan del Río. Currently they only have a 38% ABV joven espadin listed on their website which seems geared towards the cocktail market. At one point, the brand had four different 80/20 blends of espadin and another agave. The ensambles were made with: Mexicano, Tepextate, Madrecuixe, and Tobala. I tried the Espadin/Tepextate ensamble at Tales & Spirits in Amsterdam and thoroughly enjoyed it. Much like some of the 80/20 blends that Alipus has released, the flavors from the 20% wild agave were quite prominent. My gut tells me that their overseas consumers either prefer single varietal mezcals or it is easier to market single varietals over the more niche ensambles. If you have any info on this decision by Aprendiz please leave comment. At any rate, their espadin seems to be well-distributed in Europe. 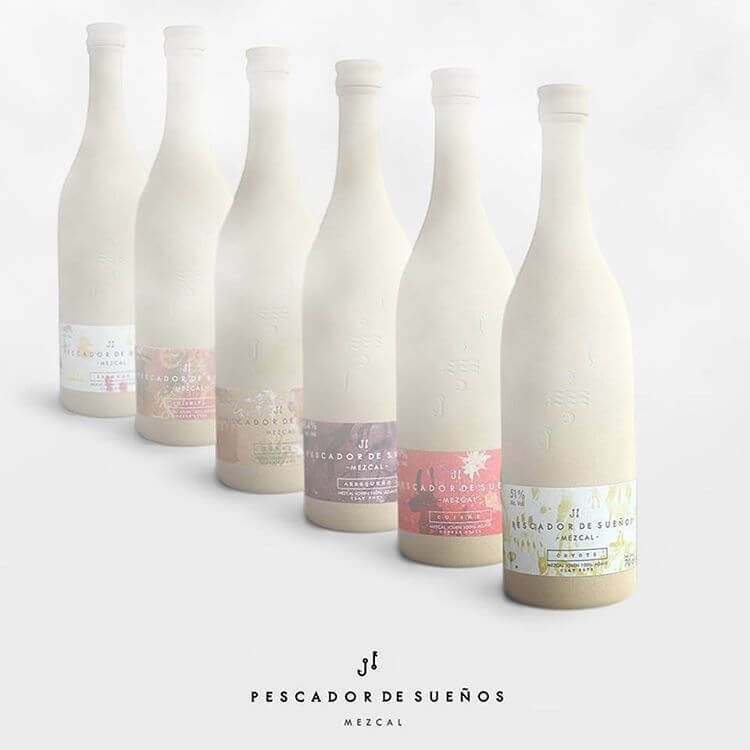 Like Aprendiz Mezcal, the Pescador de Sueños (“Dream Fisher” in English) brand is made by the Santa Sabia distillery family. 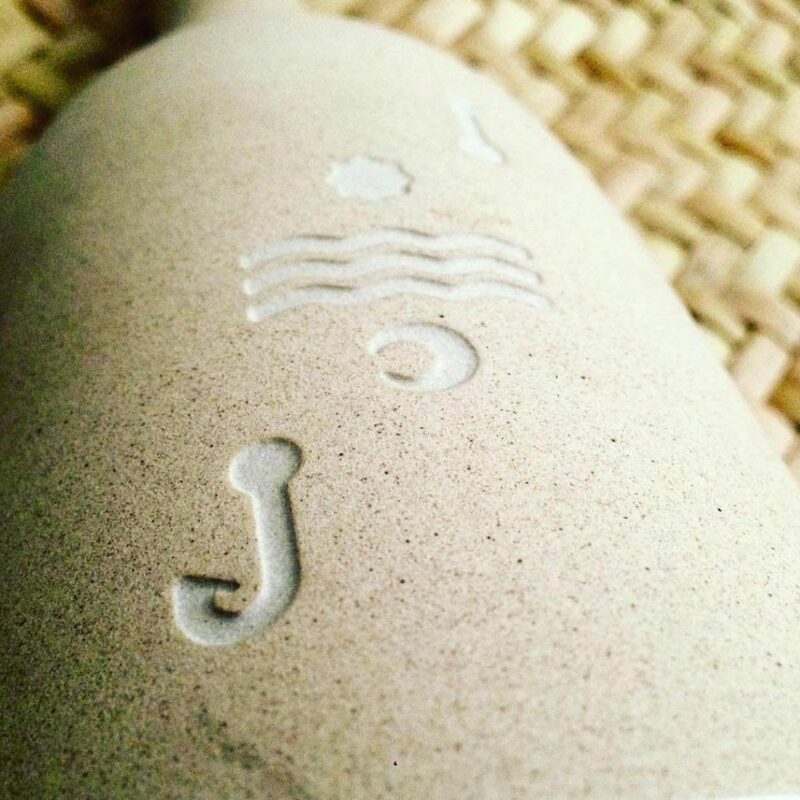 Their mezcals are single varietal and come in unique clay-like bottles. 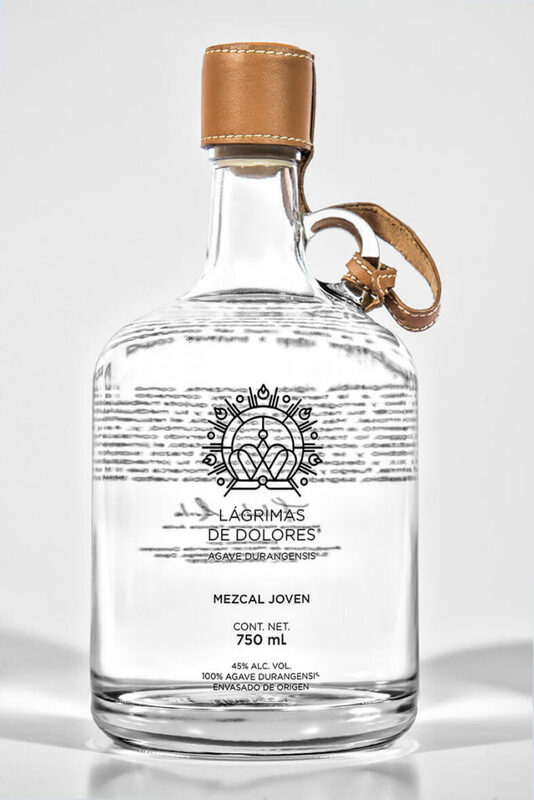 There is some interesting folklore behind the name of this mezcal. It is clear the producers had a vision when they designed the bottle. Much like El Jolgorio and Los Siete Misterios, Pescador de Sueños has a full lineup of mezcals: Tepextate, Tobala, Cuishe, Espadin, Cuishito, Madrecuishe, Mexicano, Arroqueno, Pechuga, Coyote, and Marteño! I’ve never even heard of Cuishito or Marteño. Interesting stuff. I’ve only been lucky enough to try their Tobala and it blew me away – it’s probably one of the funkiest (in a good way) tobalas out there. Check out the @pescadormezcal Instagram account to see some of the awesome artwork used in their marketing. Now, there are certainly a number of mezcal brands not listed here that are exported from Mexico but not yet available in the United States. If I’m missing some please leave a comment. Many of these brands are likely not imported into the U.S. due to the legal process of importing goods across borders. European countries, while much further from than Mexico than the United States, have different importation laws that might lower the barrier to entry for trade. Hopefully we’ll get some of these exciting brands in the U.S. soon. Until then, if you live in the United States, be on the lookout when you’re traveling and bring some back to share with friends. 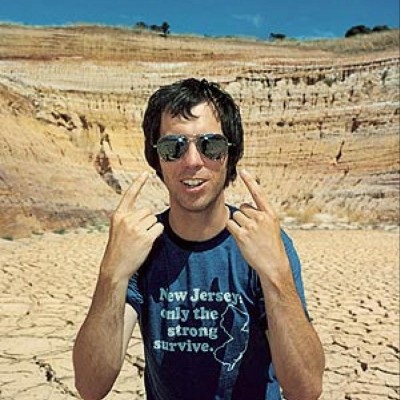 Hi Tyler, thanks for the good read and for putting up a picture from our bar, Garçon. Have you been visiting us on our marble bar, or did you find the picture on the web – and if so, where? We are always interested in what is posted about us. Hi Mario, I took that picture when I visited Garçon in Munich last year with my sister. We had a good time and some great cocktails. Cheers!